A Supplier of Environmental Information Products. NOAA supplies to its customers and partners information pertaining to the state of the oceans and the atmosphere. This is clear through the production of weather warnings and forecasts via the National Weather Service, but NOAA’s information products extend to climate, ecosystems and commerce as well. Since October 25, 2017 Timothy Gallaudet, Assistant Secretary of Commerce for Oceans and Atmosphere, has served as acting Under Secretary of Commerce for Oceans and Atmosphere at the US Department of Commerce and NOAA’s interim administrator. Gallaudet succeeded Benjamin Friedman, who served as NOAA’s interim administrator since the end of the Obama Administration on January 20, 2017. In October 2017, Barry Lee Myers, CEO of AccuWeather, was proposed to be the agency’s administrator by the Trump Administration. The National Weather Service (NWS) is tasked with providing “weather, hydrologic and climate forecasts and warnings for the United States, its territories, adjacent waters and ocean areas, for the protection of life and property and the enhancement of the national economy.” This is done through a collection of national and regional centers, 13 river forecast centers (RFCs), and more than 120 local weather forecast offices (WFOs). They are charged with issuing weather and river forecasts, advisories, watches, and warnings on a daily basis. They issue more than 734,000 weather and 850,000 river forecasts, and more than 45,000 severe weather warnings annually. NOAA data is also relevant to the issues of global warming and ozone depletion. The National Environmental Satellite, Data, and Information Service (NESDIS) was created by NOAA to operate and manage the US environmental satellite programs, and manage NWS data and those of other government agencies and departments. NESDIS’s National Centers for Environmental Information (NCEI) archives data collected by the NOAA, U.S. Navy, U.S. Air Force, the Federal Aviation Administration, and meteorological services around the world and comprises the Center for Weather and Climate (previously NOAA’s National Climatic Data Center) and the Center for Coasts, Oceans, and Geophysics (created by a merger of NOAA’s National Coastal Data Development Center (NCDDC), National Oceanographic Data Center (NODC) and the National Geophysical Data Center (NGDC)). In 1960 TIROS-1, NOAA’s first owned and operated geostationary satellite was launched. Since 1966 NESDIS has managed polar orbiting satellites (POES) and since 1974 it has operated geosynchronous satellites (GOES) . In 1979 NOAA’s first polar-orbiting environmental satellite was launched. Current operational satellites include NOAA-15, NOAA-18, NOAA-19, GOES 13, GOES 14, GOES 15, Jason-2 and DSCOVR. In 1983, NOAA assumed operational responsibility for Landsat satellite system. Since May 1998, NESIDS has operated the Defense Meteorological Satellite Program (DMSP) satellites on behalf of the Air Force Weather Agency. NOAA’s research, conducted through the Office of Oceanic and Atmospheric Research (OAR), is the driving force behind NOAA environmental products and services that protect life and property and promote economic growth. Research, conducted in OAR laboratories and by extramural programs, focuses on enhancing our understanding of environmental phenomena such as tornadoes, hurricanes, climate variability, solar flares, changes in the ozone, air pollution transport and dispersion, El Niño/La Niña events, fisheries productivity, ocean currents, deep sea thermal vents, and coastal ecosystem health. NOAA research also develops innovative technologies and observing systems. The Atlantic Oceanographic and Meteorological Laboratory (AOML), is part of NOAA’s Office of Oceanic and Atmospheric Research, located in Miami, Florida. AOML’s research spans hurricanes, coastal ecosystems, oceans and human health, climate studies, global carbon systems, and ocean observations. AOML’s organizational structure consists of an Office of the Director and three scientific research divisions (Physical Oceanography, Ocean Chemistry and Ecosystems, and Hurricane Research). The Office of the Director oversees the Laboratory’s scientific programs, as well as its financial, administrative, computer, outreach/education, and facility management services. Research programs are augmented by the Cooperative Institute for Marine and Atmospheric Studies (CIMAS), a joint enterprise with the University of Miami’s Rosenstiel School of Marine and Atmospheric Science. CIMAS enables AOML and university scientists to collaborate on research areas of mutual interest and facilitates the participation of students and visiting scientists. AOML is a member of a unique community of marine research and educational institutions located on Virginia Key in Miami, Florida. Since 2001, the organization has hosted the senior staff and recent chair, Susan Solomon, of the Intergovernmental Panel on Climate Change‘s working group on climate science. The NOAA flag is a modification of the flag of one of its predecessor organizations, the United States Coast and Geodetic Survey. The Coast and Geodetic Survey’s flag, authorized in 1899 and in use until 1970, was blue, with a white circle centered in it and a red triangle centered within the circle. It symbolized the use of triangulation in surveying, and was flown by ships of the Survey. When NOAA was established in 1970 and the Coast and Geodetic Survey’s assets became a part of NOAA, NOAA based its own flag on that of the Coast and Geodetic Survey. The NOAA flag is in essence the Coast and Geodetic Survey flag, with the NOAA logo—a circle divided by the silhouette of a seabird into an upper dark blue and a lower light blue section, but with the “NOAA” legend omitted—centered within the red triangle. NOAA ships in commission display the NOAA flag; those with only one mast fly it immediately beneath the ship’s commissioning pennant or the personal flag of a civilian official or flag officer if one is aboard the ship, while multimasted vessels fly it at the masthead of the forwardmost mast. NOAA ships fly the same ensign as United States Navy ships but fly the NOAA flag as a distinguishing mark to differentiate themselves from Navy ships. ^ “About Our Agency | National Oceanic and Atmospheric Administration”. NOAA.gov. Retrieved 2016-04-03. ^ a b “BestPlacesToWork.org Agency Report”. Best Places to Work. Retrieved 1 Jul 2014. ^ “Organizational Structure | National Oceanic and Atmospheric Administration”. NOAA.gov. 5 March 2018. Archived from the original on 13 July 2018. Retrieved 13 July 2018. ^ “Our history | National Oceanic and Atmospheric Administration”. NOAA.gov. Retrieved 2017-06-13. ^ “About | Office of Marine and Aviation Operations”. NOAA.gov. Retrieved 19 February 2018. ^ “About the National Oceanic and Atmospheric Administration (NOAA)”. Retrieved 2016-05-18. ^ “New Priorities for the 21st Century NOAA STRATEGIC PLAN FY 2005 – FY 2010” (PDF). oceanservice.noaa.gov. U.S. Department of Commerce, National Oceanic and Atmospheric Administration, Office of Program Planning and Integration, NOAA Strategic Planning. Archived from the original (PDF) on 10 June 2016. Retrieved 30 May 2013. ^ “Reorganization Plan 4 – 197 – NOAA Central Library”. Lib.noaa.gov. Archived from the original on 2016-03-04. Retrieved 2016-04-03. ^ Shea, Eileen. “A History of NOAA”. Department of Commerce Historical Council. Retrieved 30 May 2013. ^ Lott, Maxim (13 August 2013). “Distorted data? Feds close 600 weather stations amid criticism they’re situated to report warming”. Fox News. Retrieved 26 July 2018. ^ “Benjamin Friedman | National Oceanic and Atmospheric Administration”. Noaa.gov. Retrieved 2017-06-13. ^ “Trump administration nominates AccuWeather CEO Barry Myers to head NOAA – Geospatial World”. Geospatial World. 2017-10-25. Retrieved 2017-10-25. ^ a b “Organization | National Oceanic and Atmospheric Administration”. Noaa.gov. 2016-03-30. Retrieved 2016-04-03. ^ Service, US Department of Commerce, NOAA, National Weather. “NOAA Weather Radio”. Weather.gov. Retrieved 2017-01-30. ^ “NOAA Tides & Currents”. tidesandcurrents.noaa.gov. Retrieved 19 August 2017. ^ NOAA Office for Coastal Management ADS Group. “NOAA Office for Coastal Management”. Csc.noaa.gov. Retrieved 2016-04-03. ^ “Home – NOAA Tides & Currents”. Tidesandcurrents.noaa.gov. 2013-10-15. Retrieved 2016-04-03. ^ “Nautical Charts & Pubs”. Nauticalcharts.noaa.gov. Retrieved 2016-04-03. ^ “National Geodetic Survey – Home”. Geodesy.noaa.gov. Retrieved 2016-04-03. ^ “NOAA National Marine Sanctuaries”. Sanctuaries.noaa.gov. Retrieved 2016-04-03. ^ “Our role is stewardship; our product is science”. Response.restoration.noaa.gov. 1989-03-24. Retrieved 2016-04-03. ^ “Landsat Data Data Sheet”. usgs.gov. 1997. ^ “Department of Commerce”. history.nasa.gov. Retrieved 2017-05-28. ^ “NASA Successfully Launches NOAA Advanced Geostationary Weather Satellite”. nasa.gov. November 19, 2016. ^ “NOAA/NESDIS Office of Systems Development Homepage”. Osd.noaa.gov. Archived from the original on 2016-03-04. Retrieved 2016-04-03. ^ “NOAA Star : Center for Satellite Applications and Research”. Star.nesdis.noaa.gov. Retrieved 2016-04-03. 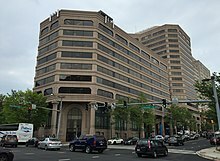 ^ Office of Space Commerce. “Office of Space Commerce | Helping U.S. businesses use the unique medium of space to benefit our economy”. Space.commerce.gov. Retrieved 2016-04-03. ^ “NOAA News Online (Story 235)”. Noaanews.noaa.gov. Retrieved 2017-05-28. ^ “About OMAO – Office of Marine and Aviation Operations”. Omao.noaa.gov. Retrieved 19 August 2017. ^ “What is NIDIS? | U.S Drought Portal”. Drought.gov. Retrieved 2017-05-28.